Holi - one of the most-awaited festivals has arrived, Holi the festival of colors and tasty delights. Most of us know that Holi stands as the festival of colour. But do we know what Holi actually is and where it originates from? Holi is derived from the word ‘Holika’. Legend has it that Holika, the sister of an evil king, was ordered to kill the king’s son because of the son’s devotion to Lord Vishnu, against his father’s wishes. The evil Holika decided to sit on a pyre with her nephew, while covering herself with protective clothing so as to prevent herself from burning. Alas, the opposite happened, and Holika burnt to ashes, while her nephew had a miraculous escape. Because of this, Holi is also thought to symbolize the triumph of good over evil. The tradition of burning Holika continues even today in the form of ‘holika dahan’ where a bonfire is held to symbolize burning evil and making way for good. Holi is also considered to be a harbinger of spring. It is celebrated with great enthusiasm in India. Young and old gather on streets and throw colors at each other. Traditional snacks such as ‘papdi’ and ‘gujiya’ are prepared and shared among friends and families. 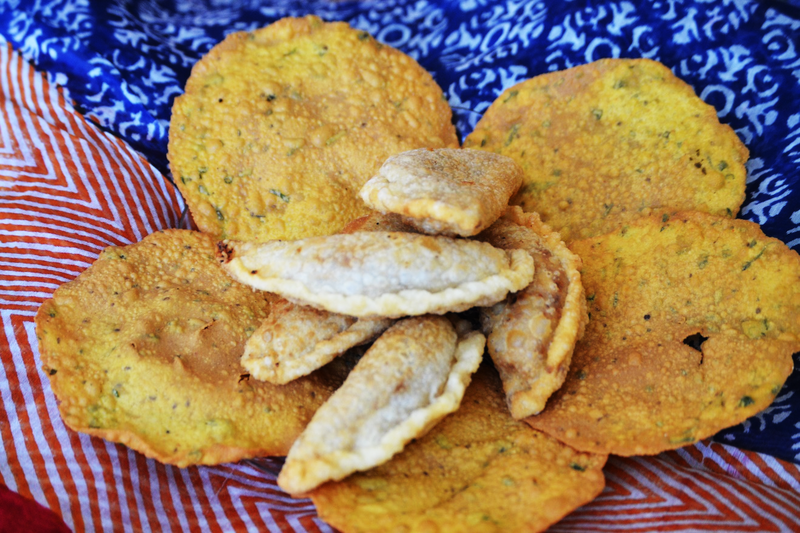 I look forward to my mom’s finger-licking ‘papdis’ and ‘gujiyas’ a week before Holi. Holi is not only celebrated in India, but also all over the world. Indian communities gather and celebrate Holi as festively as the people in India. This colorful festival has also inspired many events such as ‘The Color Run’, which is held in many parts of the United States such as Los Angeles, Chicago, Texas and in Abu Dhabi next week. In the UAE, events such as ‘Rang De’ are held to offer Indian expats a chance to celebrate Holi. To sum it up, Holi is one festival where everyone can unwind, enjoy and be smeared in colour.